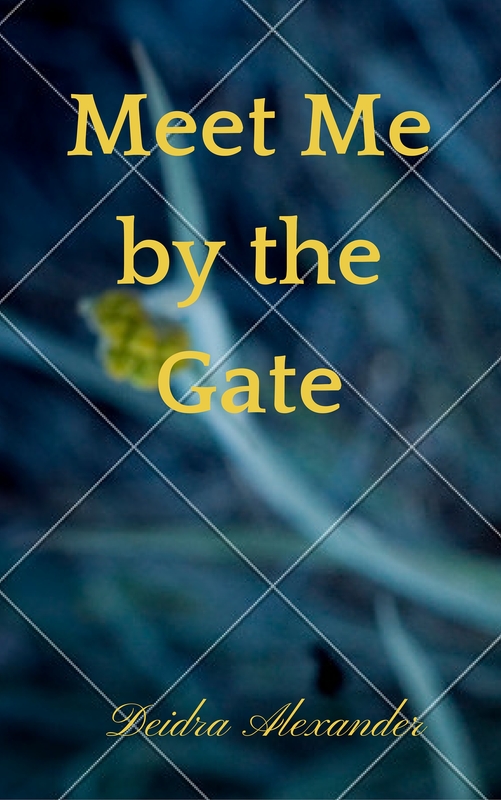 I wrote Meet Me by the Gate several years ago after an illness. Thanks to all of your encouragement, I have decided to self publish this book. I have created three possible book covers and posted them on my Patreon account. P.S. The next book I’m working on is called Blood Guardian. P.S. 2.0 It has come to my attention that you must have an account to vote on my patron page. Sorry I didn’t realize that. I am posting the covers below and you can vote on them by number via a comment. Any thoughts you have on the design, fonts or anything els would also be appreciated. Thank you. Nothing interesting ever happens around here. I hope you aren’t reading this until you are an old man with children and grandchildren, ready to retire with a wonderful wife. But if things don’t turn out the way I hope, I want you to have the pink floral china my mother and I brought back from Europe. And when you are married, I want you to use them often. Those dishes were never used enough. Charlie has been scarce most of the day. I guess he took my suggestion to get back to work to heart. It’s good for him. He needed to think about something else for a while. It wasn’t long before Allie stopped by. Without Ladies’ Guild, I guess she has time on her hands. The painting in front of me was of Allie, not today’s Allie, the seven-year-old Allie. The dark lawn in the painting was forested with trees. Evening had set and fireflies flickered among the trees. At the edge of the canvas, just in the corner was the face of a little girl with red pig tails peering over the edge of the canvas. You could only see the top half of her head and her eyes. But those eyes told you a hundred stories of mischief. “Remember when you left for college, it was just me and Grandma?” she was saying, peering over my shoulder much like the girl in my picture. Allie picked up a bottle of water and sprayed herself in the face. How could someone look so glamorous and be so clumsy? “Grandma was so sad. I hadn’t really noticed it until you left. When we lost our Mom, she lost her baby, her only child,” said Allie. I hadn’t thought of what it must have been like for Grandma to watch her daughter get sick and die. She paused for a moment, staring out the window. “That’s when I found my talent, my appearance. It’s all I really am. I know it deep down inside. I’ve made the best of what I had because I had nothing else,” she said. I wanted to tell her as long as she believed that, it would be true. The minute she realized she was more, she would be. It sounded like something your mother or sister would say. But Logan came bounding in as only a ten-year-old boy can. Livia’s eyes narrowed. I’m sure Liv was not a nickname she wanted to encourage, let alone Granny. “I didn’t realize you were here,” Livia continued. I was shocked to hear that kind of language coming out of Logan’s mouth. I knew his new stepmom didn’t like children, but she needed to watch her language. “Who’s Cami?” Livia asked, suddenly perking up. Livia’s eyebrow rose at a dangerous level while she drummed her finger nails on the table. “I think Cami’s about to find Ladies Guild more difficult than she ever imagined,” Livia said, smiling at Allie. The two of them conspiring together was a bit scary, but I was a happy to learn that Cami’s life was going to get more difficult. I want you to keep the picture of you and me on our honeymoon in New Orleans. I remember a jazz band playing while we danced in a square at sunset. I was dancing on clouds. It would make me happy to think that you will look at it every now and then and remember me. Charlie received a letter today from a little girl, Yamile in Sihisbamyo in the wilds of Peru. She was only five when he last saw her and her younger brother. Now her brother was sick. She wrote to Charlie for help. She begged him to hurry and come save her brother. He folded the letter, tucked it in his pocket and went back to making my soup. Outwardly he acted as if nothing had happened, but his face had frozen in an odd look of hardened serenity as if it was taking all his will to appear peaceful. Periodically, he would stop what he was doing to grip the granite counter, staring at it, tracing the veins as if they were roads on a map. He brought me my soup, patted me on the shoulder and asked how I was feeling. When had I stopped being his wife and become his patient? That’s how it was with Charlie and Allie to a lesser degree. I was becoming the sum of my illness. They were both so concerned I might break they were seeing less of me and more of my cancer. So it was not out of pure selflessness that I told Charlie I was feeling better and didn’t really need him hovering over me. In truth my appetite had returned and my strength with it. I insisted he work on his project, check in with the engineers and students working with him and generally keep things moving. However, I didn’t expect not to see him for the rest of the day, but perhaps that wasn’t such a bad thing either. Maybe we both needed a break. I found this Christmas card in some of Mom’s old papers. She kept it all those years. I think she would want you to have it. I keep it in my purse hoping for a good time to give it to you, but I’m not sure that time will ever come. So if I haven’t given it to you yet, take it. They would want you to have – Grandma and Mom. Remember I love you. We all love you. Bryan hadn’t answered any questions. In fact, he just added to them sending the table. I was going to make one more attempt to find the brother I was missing, the brother of my childhood. 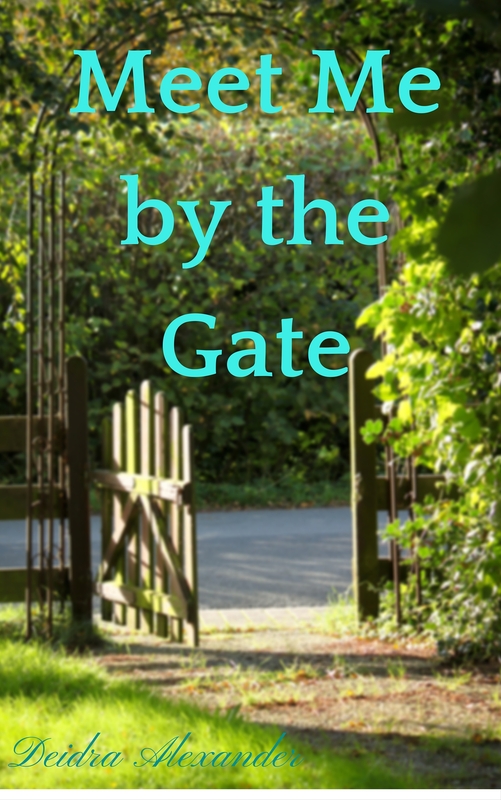 When I pushed the door open and stepped into his world, I felt a pang of envy. He wasn’t in the main studio. Instead I found myself alone with a completed bronze horse and rider. I heard the sound of steel hitting steel in the courtyard beyond the studio. I picked my way through saw horses holding plaster molds. Large chunks of granite and marble, their half hidden inhabitants waiting to be revealed. A woman roughed in bronze was reaching for the sky. Her face seemed sad almost pitiful. In the courtyard, I found Bryan with a hammer in one hand and a chisel in the other working to free a sleek modern form swirling in and around itself from the tan granite. Dust had settled on his head and clothes mingling with his sweat, so that he almost looked like a sculpture come to life. He saw me and paused mid-swing. It was hard to tell if he was expecting me or was shocked to see me. His hammer continued rhythmically slamming against his chisel. “I wanted you to know it’s not too late. You have a gift and it’s not too late to put it to use. It might take some time, but you can still be an artist. You have real talent,” he replied. Bryan spoke in rhythm to his hammer. My mind raced ahead to what my last days would be like if I went down the same path as Mom. Metal against metal rang clear. “You sound like Mom. She never had what it takes to make it,” he continued. I knew she didn’t give up because, like me she never really started. I felt the need to defend myself through her. 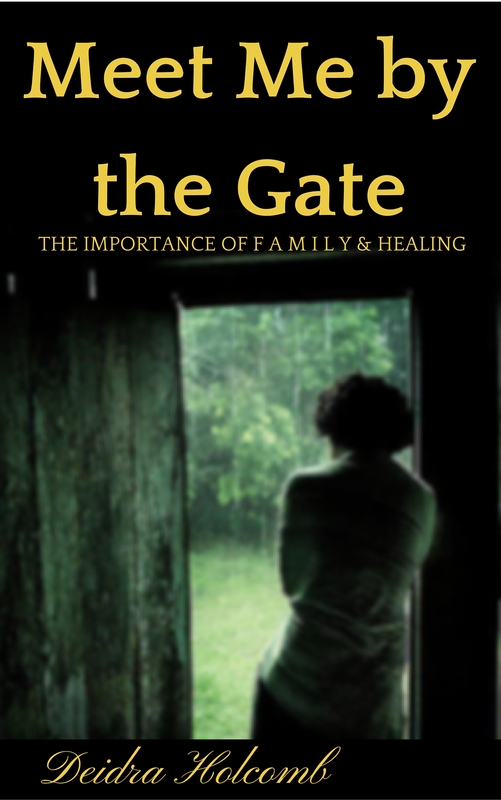 “I know more about Mom’s illness than you ever will,” Bryan yelled. He slammed his hammer into the granite, cracking the statue in half. The pieces fell to the ground with a heavy thud. His face was twisted with anger. “What do you want Jo?” he asked. “There’s no explanations, no answers. Why are you here? After all this time, what do you really want?” Bryan asked. His voice sounded like his hammer, slamming each word. Until starting the chemo and radiation, I’d never done drugs in my life and now only for nausea. I didn’t even smoke or drink. He thought I was an addict. I looked at the window behind him. I wouldn’t have recognized the woman there. I’d lost at least forty pounds. My cheeks were hollow, my eyes dark, I looked tired. “I have connections. I can get you into rehab,” he offered. I remember how he looked when Mom was sick. He didn’t look that different from me now. He’d lost weight and looked tired all the time. He lost the look of a child, looking more and more beaten. I didn’t want to see him look like that again. Not when he looked at me anyway. He was right. I did want something from him. I wanted to use him as a crutch and he didn’t owe me that. I hadn’t bothered to find him until I was sick, until I needed him. I didn’t need to drag him back there. I took the card he offered me, from some rehab center nearby. I left letting him think I was a meth addict rather than his worst nightmare. God, let him have some peace. He seems to have been a long time coming to it. I’d rather he think I’m a drug addict than to know I have cancer.